It was a cool, crisp Saturday evening in early December. Kerry Borthwick and her boyfriend Colin McAlpine were out enjoying the capital for the weekend. They’d arrived from Glasgow the day before, and on Friday evening Colin had surprised Kerry with tickets to a West End Show. They’d then spent Saturday exploring the city. Why? Well, Colin had already decided back in September that he was going to ask Kerry to marry him and he’d already set the wheel in motion to do it at the top of the Coca-Cola London Eye. The couple, who are from Monkton in Glasgow, had been friends for many years before they started dating. They’d moved in together at the start of 2016 and were excited about the future. “We’d talked about marriage, but not in any great detail,” says Colin. Plus, because Kerry thought Colin was taking her away for the weekend for her birthday, she had no reason to suspect he was planning to propose. Colin had been thinking about proposing since September, when he and Kerry had been on holiday with some friends who’d recently got married. They’d been teasing them that it would be their turn next. Colin decided combining his proposal with Kerry’s birthday trip to London would be the perfect cover. As Colin and Kerry have both been working for CCEP for so long, and Coca-Cola Great Britain now sponsors the London Eye it seemed the perfect fit. Colin got in contact with Coca-Cola Great Britain's headquarters to see if we could help him out. And how could we refuse? Together, a perfect plan was hatched and a private capsule reserved for them at sunset. After a long day touring the city Kerry was wondering out loud what to do next. “I said that I had an idea of something we could do…” explains Colin. And he led her to Westminster tube station opposite the iconic wheel. It was clear evening so as their capsule climbed into the air they could see across London to some of the city’s major landmarks: the Palace of Westminster, Big Ben, the Tower of London, Tower Bridge, Westminster Abbey and many more. The city was lit up beneath their feet. “The views were breath-taking. You really got the sense of how high we were,” says Colin. When they got back to their house in Monkton on Sunday evening she thought that their special weekend was coming to an end. Instead she was surprised by their friends and family all hiding in their kitchen waiting to celebrate with them! Kerry agrees: “I’m absolutely thrilled. It was the perfect proposal. I can’t believe he managed to pull it off without me guessing!” They don’t have any firm wedding plans as yet, except that it’s planned for 2018. Watch this space! Visiting London? 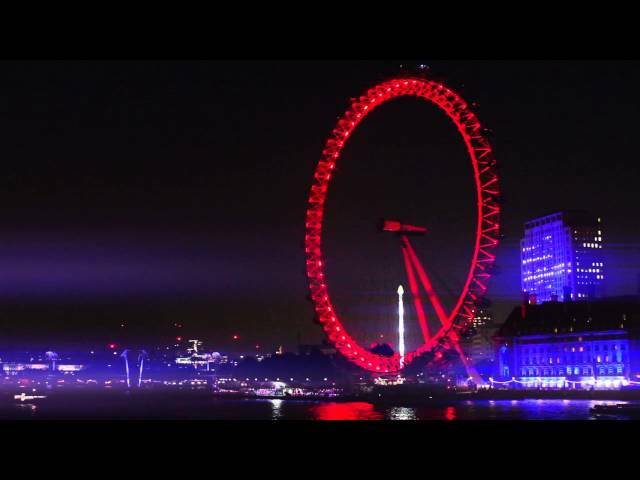 Book your ticket for the Coca-Cola London Eye. Do you have a romantic story to share with us? Let us know by tweeting us @CocaCola_GB or use our contact form. You might be featured on our site too!